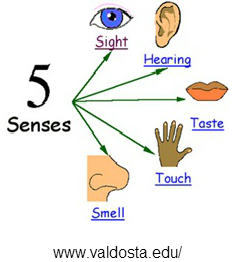 Home > News & Blogs > Brain Injury > Are injuries to the senses overlooked following a brain injury? Are injuries to the senses overlooked following a brain injury? The world is full of different scents and tastes. Have you ever thought how you would feel if you lost your sense of smell and taste, and how it would impact on your day to day life? The consequences of a traumatic brain injury are wide ranging. The damage that may have occurred to the brain is often life changing. Some individuals may be unable to breathe on their own; they may require intervention to assist them with eating due to their inability to swallow. Some individuals may have speech difficulties or mobility difficulties. Others may have memory or concentration problems, preventing them returning to work. The effects of a brain injury can be so diverse that it is important that the right specialists are involved from the outset to ensure that the correct tests are carried out and for a multidisciplinary rehabilitation programme to be put into place. In my experience as a solicitor representing survivors of traumatic brain injury, I consider it vitally important that one of these specialists should assess whether there has been any damage to the person’s senses. Following a brain injury, it is not unusual for an individual to suffer either a reduced sense of taste and smell, or lose these senses all together. The loss of taste, known as ‘ageusia’, is rare and most people who think they have lost their sense of taste have actually lost their sense of smell. The loss of the ability to smell is called ‘anosmia’, and this injury can be full (i.e. total loss of the sense of smell) or partial (i.e. reduced sense of smell). Anosmia affects around 30% of all those individuals suffering from a traumatic brain injury. Our ability to smell originates in what are called the ‘olfactory nerves’. These are nerves which sit at the base of the brain’s frontal lobes, behind the eyes and above the nose. A brain injury can cause damage to these nerves which enable us to smell, through a number of ways, including a direct blow to the head, or through haemorrhage of the brain. The severity of the anosmia has been found to increase with the severity of the brain injury. Our ability to smell is directly linked with our ability to taste, and so in circumstances where an individual is suffering from anosmia, it is likely that their ability to taste will also be affected. 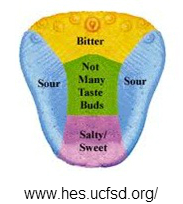 Often, individuals suffering from anosmia will only be able to taste salt, sour, sweetness and bitterness, as these particular tastes are recognised by the taste-buds in the tongue rather than in the brain. There appears to be a gap in the care immediately available following a brain injury in respect of dysfunction in the ability to taste or smell. Perhaps this is due to the fact that it is not a life threatening consequence of a brain injury and is a more subtle difficulty compared with memory, concentration or personality changes. Furthermore, survivors of traumatic brain injury may not raise it with their treating doctors, as they may not be aware of it themselves immediately following an accident. An altered sense of taste or smell is often a side effect of many medications and it can sometimes take some time before the injured person is aware of it. It can however drastically alter a person’s quality of life. This condition appears to be underestimated and trivialised. It is important that doctors are aware that an individual is suffering from this condition, and there are tests which can be carried out to identify the level of dysfunction. This test involves a series of scratch and sniff items to determine the level of traumatic loss of smell. Understandably, instructing a solicitor following a serious brain injury is often considered of least importance in the early stages of rehabilitation, as the injured person and their family are coming to terms with the consequences of what can be a life changing injury. However, it can be invaluable to seek legal advice from a specialist solicitor if your injury is a result of someone else’s negligence. At Bolt Burdon Kemp, we have in-depth knowledge of traumatic brain injury and would be able to ask relevant questions to identify the more subtle aspects of the injury and to ensure that all difficulties following a brain injury can be addressed. The effect of this type of condition can be significant. Imagine if you could never smell fresh flowers or chocolate or taste your favourite food and drink again. As well as losing the ability to experience new tastes and smells, there are also real health risks associated with not being able to smell or taste. We rely on our sense of smell every day of our lives, for example, to smell if something is burning, to smell if food has gone off, or to smell if there is a gas leak. We often take the ability to smell for granted and it is only when we lose this ability that we realise what an impact it has on our daily lives. An individual can take steps to make their home safer, such as, by installing smoke detectors or switching to electric rather than gas. In cases where losing your sense of small has been caused as a result of someone else’s fault, a personal injury claim could include the cost for aids and equipment which could make an individual’s home safer and give them some peace of mind. It is also not uncommon for people with this type of injury to change the way they eat and drink due to the loss of taste, and will often put a lot of sugar in drinks or salt in their food to enable them to be able to taste. This is of course very unhealthy and can cause associated health problems in the future. Identifying this condition will allow the injured person to make the necessary changes to adapt to their new post injury lifestyle. In my experience of representing survivors of traumatic brain injury, I continue to be surprised that this condition is still often overlooked following a brain injury. If you lost the ability to see, your doctor would refer you for tests to find out the cause of your blindness and look at ways of restoring or improving your sight. If you lost the ability to hear, your doctor would investigate the cause of your hearing loss and look for aids or equipment to assist you. If you suffered from numbness or paralysis and could not touch or feel, a medical practitioner would take steps to identify the origin of your numbness so that treatment could be considered. Following a traumatic brain injury, this condition may improve over time. But in many cases it is permanent. Patients are often advised that if the condition has persisted for six months or more then it is likely to be permanent. Personally, I consider the loss of the ability to taste or smell to be hugely significant, and I see this first hand from acting for clients who have suffered these types of sensory loses. It can have a detrimental impact on a person’s psychological wellbeing which must be a priority following a brain injury when an individual is coming to terms with their injury and rehabilitation. I consider that the appropriate tests should be mandatory in hospitals dealing with survivors of brain injury, to ensure that the correct medical experts can be involved from the beginning and that a rehabilitation programme can include the whole impact of the injury suffered by a person at the early stages following an accident, rather than dealing with just those aspects of their injury deemed to be most important. In situations where the traumatic brain injury has been caused due to someone else’s negligence, such as in a road traffic accident, the effect of this injury on a person’s life should be compensated. It is therefore important that when bringing a claim for compensation, you choose a solicitor who specialises in claims involving serious brain injury to ensure that both your rehabilitation needs are met and that you receive the full compensation that you deserve. If you or a loved one have suffered a brain injury as a result of someone else’s negligence, contact us in confidence on 020 7288 4800 or at MedicalNegligence@boltburdonkemp.co.uk for specialist legal advice. Alternatively, you can complete this form and one of the solicitors in the Personal Injury team will contact you. You can find out more about the team here.